Select an option during checkout. Q. Who does your gold plating? A. We do! All of our gold plating is done in-house, using 24k gold. This insures the highest quality with the quickest turn around time. Q. Speaking of turn around time... What is it? A. If your mouthpiece is in stock, we will plate your mouthpiece in about 3-4 weeks. For satin finish, please allow at least 4-6 weeks. If your mouthpiece is out of stock, the delay may be longer. Need your mouthpiece quicker? Check out Express Gold Rush. Q. What if I need a plated mouthpiece in a hurry? A. YES! We are now accepting mouthpieces that weren't purchased from our store for gold/satin finishing. Click Here for more details. You may also send in your mouthpiece for any of our modification services including custom engraving, bent backbores, cut for sleeves, throat modifications, and more! Q. How much does gold plating cost? A. Prices vary from mouthpiece to mouthpiece. Please check individual mouthpieces for accurate pricing information. Q. When will my credit card be charged? A. 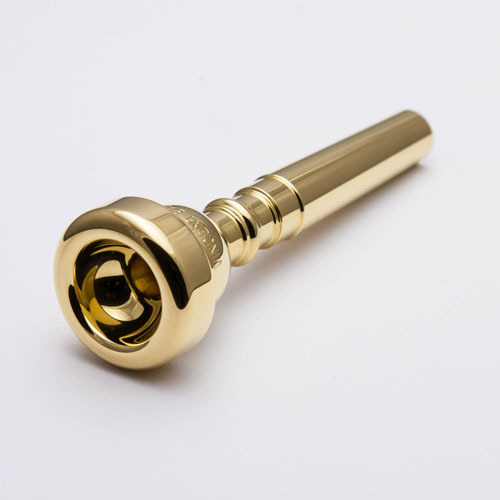 Since gold plated mouthpieces are special order items, we will charge your order in full at the time we process your order. This means the charge will appear on your card anywhere from a few days to several weeks before we ship your order, depending on stock availability. If you are a member of a US Armed Services Band paying with a US Government credit card, please note. Thank you. Q. May I cancel my order for a gold plated mouthpiece? A. All mouthpieces with special plating or finishes are NON-CANCELABLE. If you are not sure about whether a particular mouthpieces is for you, then please contact us for consultation. Q. May I return a gold plated mouthpiece? A. 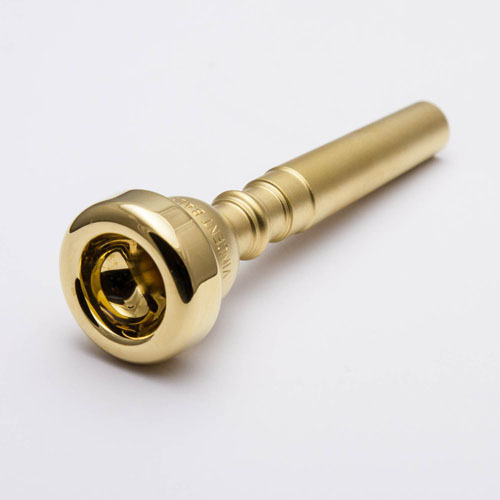 Gold plated mouthpieces are non-returnable, except for mouthpieces that come gold plated by the manufacturer, such as Yamaha Gold Plated Series Mouthpieces and Yamaha Signature Series Mouthpieces. 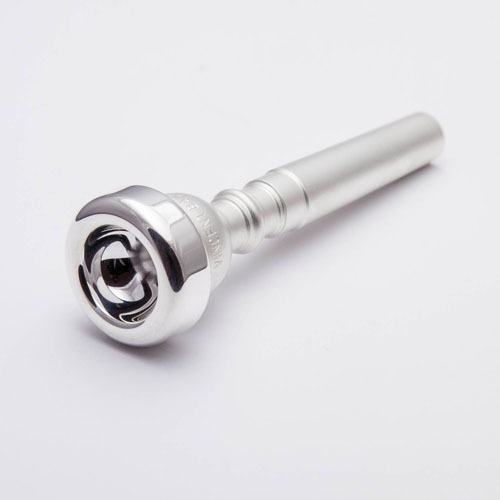 If you are unsure whether a mouthpiece is right for you, or if you are unsure if it will fit your instrument, you should try it in silver first. Q. Is gold plating covered by a warranty? A. We guarantee gold plating for 90 days from the delivery date. This means that if the plating fails in the first 90 days, we will either re-plate or replace the mouthpiece, at our option. This warranty does not cover abuse or neglect. Q. How do you guys handle Mouthpiece Sleeve plating? A. If a sleeve is purchased with a mouthpiece that is to be "Cut for Sleeves" and has had special plating requested, the sleeve will be treated just as the mouthpiece and therefore will receive any special plating requested unless noted otherwise. Q. What is "Satin Finishing?" A. Our Satin finish is a matte finish we apply to the exterior of your mouthpiece during the plating process. The rim, cup, and bore of your mouthpiece are not affected.